I have to say I've been intrigued by Argan Oil for some time. It is in all the fashion magazines and mentioned on many beauty blogs and YouTube videos. I was curious but cautious because it can be pricey to get good quality Argan Oil. So when UNi offered to send me some for review I jumped. First I put it in my hair after washing and just let it dry naturally. This left my hair okay but I found that it didn't do that much for me overall. The second way was using it as a finishing oil. This was not recommended by the company but I had read online that many use it that way. It did alright for my ends - I did not apply to root area. The third way was the best and what is recommended. I applied to wet hair and let dry naturally or blow-dry. (That part didn't matter but the next step did.) Then I used a hot tool to either straighten or curl my hair. This was the key that made the product work well. I found that it wasn't my favorite for curling my hair but when I straightened - WOWSERS! Smooth, silky hair emerged! So from now on when I straighten this will be my go to product. The reason I didn't like it for curls as much is just that it left my hair a little too soft to hold the curl all day. One major tip is only use a tiny bit. You will be tempted to use a lot - I know I was. However you need just a few drops to see dramatic results. I really enjoyed this product from UNi - the oil has a beautiful nutty smell and really worked well. 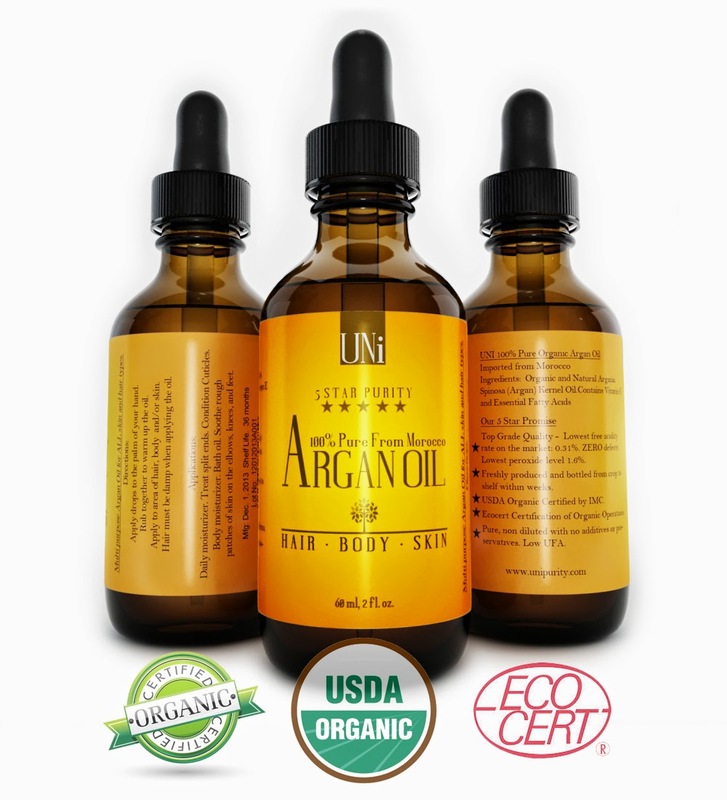 You can purchase your UNi 100% Organic Pure Moroccan Argan Oil online at Amazon.